Last week, I saw the headline Tiny preemie -- one of smallest survivors -- going home and as I read the story of Melinda, a baby born at 24 weeks weighing only 9.5 oz who is going home with her family, I was transported back to the most difficult time in my life. In previous posts, I have written about my experience with the premature birth of our first daughter, Olivia. I have described what it was like going into labor early and having our new baby in the hospital. I also provided tips for parents coping with having a hospitalized baby. Today, even though Olivia is a happy, healthy, average kid (she’s about to turn 4 years old, yikes!) I still remember all of the emotions and stress of our experience and as I read their story, I started to wonder what I would say to Melinda’s family if I met them. Even when you’ve been through it yourself, it can be difficult to know what to say to parents of preemies. Every baby born prematurely is unique with unique needs and health status and every parent deals with their situation differently. Today, we’ll give a few tips for our readers who have friends or family members with a premature infant. · Even if you know the parents well, it’s hard to predict how they will react to or handle this stressful situation. Keep in mind that they may not be acting like themselves. · Try to find the right balance between giving space and being present for support. Because it is an emotional situation, sometimes friends and family decide that the parents need their space. Parents of preemies can easily feel isolated when people “don’t want to bother them.” On the other hand, some people are so eager to help that they overwhelm the parents. · Although it can be helpful to discuss what is happening, many parents (myself included) are not ready to do that right away. If the parents want to talk, be a good listener. If not, make sure that they know that you will be there when they are ready to talk. · Be mindful of what you say. Words of support can sometimes be taken wrong by parents. For example “You only go through things that you are strong enough to handle,” is intended to be encouraging, but to a parent who is tired and stressed it can seem like you are saying they deserve what is happening. Also, it is very important that you don’t offer medical advice or compare the baby to a “normal” or full-term baby. · Small improvements and milestones are unbelievably exciting and the tiniest set back can seem devastating. Celebrate the improvements and, when dealing with a setback, help the parents remember all the positive progress the baby has made. · Every new parent likes to hear compliments about their baby. 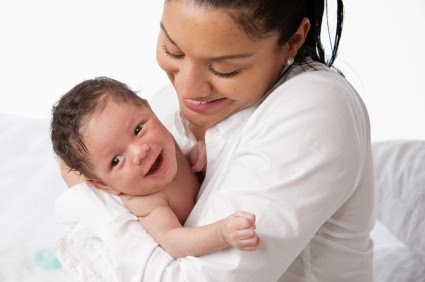 Acknowledging the baby as a person without being too congratulatory (especially if you are unsure of the baby’s health status) can be difficult, but it is one of the best ways to support new parents. · Keep in mind that the whole family will need support. Even though much of the attention is focused on mom and baby, finding ways to support dad, siblings, and even grandparents is just as important. The support of friends and family is so important to families of premature infants. We hope these tips will help guide the support you give. We’d like to hear from you; do you have something to add? Send us a comment. It's been a rough week at our house, a week filled with fevers, coughing, sneezing crying, and snuggling. In case any of our readers are having a similar week (although we hope you are not! ), we thought it would be good to revisit a topic we covered last year. In our post Changes in Behavior during Illness: Colds, Ear Infections, and the Flu we provided summaries of these 3 common illnesses, listed symptoms often associated with each illness, and described how your baby's behavior might be affected. So, if your baby is a little under the weather or you just want to be prepared when it happens, click the link above to access the original post. Last time, we provided an overview of the first 5 updated and expanded recommendations from the American Academy of Pediatrics to reduce infants’ risk for SIDS and other sleep related deaths. In this post, we continue with the next 6 "level A" recommendations. For the full report, see the link below. 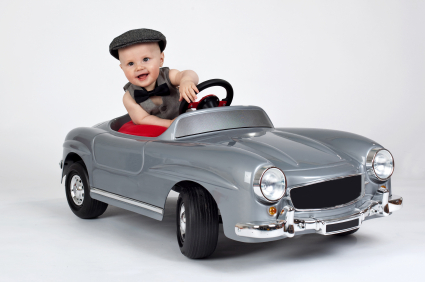 • This includes second-hand smoke in an infant’s environment, such as the car or home. • The risk is highest when the infant bed-shares with a smoker. Infants are at a particularly high risk of SIDS when parents bed-share with infants while under the influence of drugs or alcohol. • The protective effects of breastfeeding against SIDS increase with the amount of exclusivity. The AAP recommends 6-months of exclusive breastfeeding for all infants if possible. • Any breastfeeding is more protective than none. • Use the pacifier when your baby is falling asleep. • You do not need to put the pacifier back in your baby’s mouth if it falls out. • Do not force your infant to take a pacifier if he doesn’t want to! • Do not attach the pacifier to the infant while the infant is sleeping. • Wait to give pacifiers to breastfeeding infants until breastfeeding is firmly established, or when babies are about 5 to 6 weeks old. • Dress your infant comfortably for his environment with no more than one more layer than you would wear. • Signs of overheating include sweating or the chest being hot to the touch. • Avoid over bundling and covering the face and head. 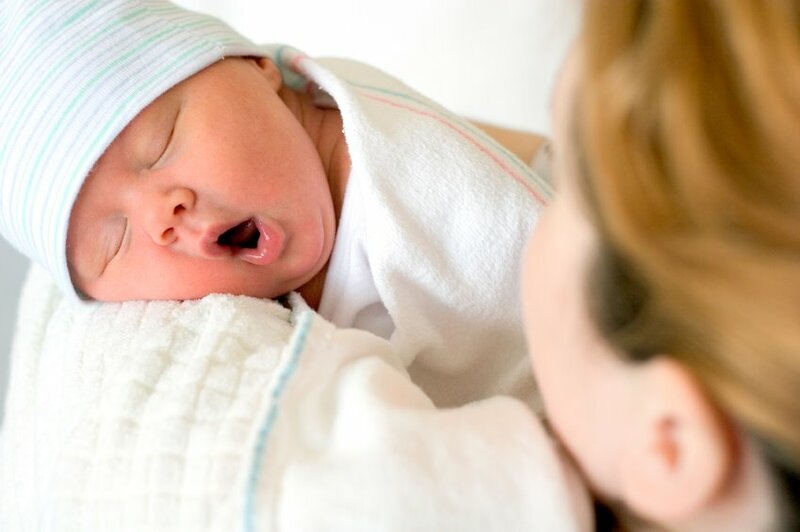 The American Academy of Pediatrics (AAP) has released an updated report of recommendations to reduce the risk of SIDS and sleep-related suffocation, asphyxia, and entrapment among infants in the first year of life. This is the first report published since the “Back to Sleep” campaign was originally launched in 2005. Though guidelines encouraging caregivers to place babies on their backs to sleep have been around since 1992 and proved successful at decreasing the incidence of SIDS, deaths related to SIDS have recently plateaued. In the mean-time, other sleep-related deaths have increased. The updated and expanded recommendations provide more evidence-based information about safe infant sleep. In the next 2 posts we will present an overview (without comment) of each of the new recommendations and share important notes about each. It’s also important to note that the recommendations we will focus on in these blog posts are “Level A recommendations” meaning that they are based on “good and consistent scientific evidence.” Please see the link at the bottom of this post to view the full AAP report. • Once your infant can roll from back to front and front to back you can leave your baby in whatever sleep position he gets into during the night. • Side sleeping is discouraged and there is no evidence that side sleeping has any medical benefits, even during 1st few days of life in the hospital. • While it has been known that choking risk is not greater in babies that sleep on their backs, this has also been shown true in infants with reflux. • Elevating the head of the bed may be dangerous (for babies with reflux or others elevating the head of the bed does not reduce reflux and the baby may slide to the foot of the crib and get into a position that compromises breathing). • All sleep surfaces should conform to safety standards of the Consumer Product Safety Commission. You can check this out online at http://www.cpsc.gov/info/cribs/index.html. You can also check for recalls regularly at this site too. • Broken cribs should never be used (risk of death has been associated with broken cribs or those with missing parts). • Any device that puts your infant in a sitting position, such as a car seat or swing, should not be used for routine sleep, especially in infants under 4 months of age. • When slings or other soft carriers are used, make sure that your infant’s head and face are above the fabric and that the nose and mouth are not obstructed at any time. 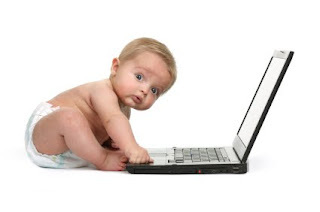 • It’s recommended that babies sleep in the same room as their parents but on a separate sleep surface. • Babies may be brought into the parents’ bed to feed or be comforted but the baby should be returned to his own sleep surface when the parent is ready to go back to sleep. • Bed-sharing devices that propose to promote safe bed-sharing are not recommended. • The AAP does not endorse any particular bed-sharing situation as being safe. However, there are specific circumstances surrounding bed-sharing that have been found to substantially increase the risk of SIDS or other sleep-related deaths. For a list of these, please see the full AAP report below. • Soft objects include: pillows, stuffed animals or soft toys, quilts and comforters, just to name a few. • Loose bedding includes blankets or sheets. • Bumper pads used to line a crib may pose suffocation risk and do not prevent injury. On Friday, we'll continue with an overview of the rest of the recommendations. We're off to do a new round of trainings! We'll be back next week. This week, we thought we'd see how much you know about how babies sleep. Are you ready? I know that it is cliche to post a list of resolutions this time of year but there is something about the beginning of a new year that entices us to make plans and goals. So, I'll give in and join the thousands of others who have taken up this theme. My twist is a simple one. This list includes the resolutions that I wish all of you to consider. 1. Let go of past mistakes. Before your baby was born, you probably imagined the type of parent you would be. You pictured yourself perpetually even-tempered, loving, strong, wise, and vigilant. Your child would have the best of everything, every moment of every day. Uh.. oops. That’s not how it works, is it? Sometimes, we find ourselves losing our tempers, needing some space, giving in at the wrong time, or getting distracted just long enough for little exploring fingers to knock something over and make a mess. Trying to be perfect is stressful and not realistic. Every parent makes mistakes. You need to learn from each of yours and move on. 2. Be the best example you can be for your child. Always remember that your baby is watching you. He is using your behavior to learn about the world and his role in it. You are literally creating his perspective on what is good, what is bad, and how to treat other people. This does not mean that you have to be perfect (see #1) but it means that you have to be aware of what your baby sees and hears. Don’t forget to show him how you deal with your imperfect moments. For example, if he sees you lose your temper, he can also watch you apologize. Children play to learn. If you are part of your child’s play, you are part of her learning. Playing with your child creates opportunities for magical memories that your child will always look back on. Playtime does not have to be restricted to getting down on the floor at home with toys. Playtime can be in line at the grocery store, taking a walk around the backyard, creating a snow creature on the car, or dancing to school. Finding time for play can be tough when there are so many other pressures in your life but you really need to try. You’ll find that those magical memories won’t be cherished only by your child; they will the ones most cherished by you too. 4. Be grateful for every moment. If you can’t manage the other resolutions, this is the one you want to keep. I know when you’re sleep deprived or you’ve just accidentally smeared some poop on your cheek, you’re not going to be feeling very grateful. You probably won’t be looking back on your toddler’s very public tantrums as the best moments of your life either. Yes, sometimes the squeals and shrieks at preschool can make you want to scream. But you can’t let the unavoidable annoyances and irritations make you forget the joy, pride, and love that parenting brings. Despite all the challenges, childhood is fleeting, and there is so much to be grateful for. Our thanks to all of our readers. We’re looking forward to sharing 2012 with you.